WHY IS NETWORKING IMPORTANT FOR BUSINESS? Networking is crucial to acquire and grow contacts you might not meet by cold calling. Developing personal relationships through networking builds report and increases your chances of involvement, referrals, sales, and response. Your network of referrals can be shared with co-workers or clients. If you can help your clients meet the people they need to grow successfully, you will encourage repeat business and referrals. Meeting people at networking events often will lead you to important meetings with decision-makers of companies. It’s all about being at the right place at the right time! 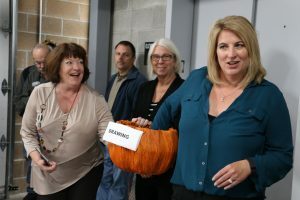 The Morning Spark is designed to help you make connections before starting your work day and is open to all members of the Wilsonville Area Chamber of Commerce. The group meets on the 1st and 3rd Wednesday of each month from 7:30 – 9:00 a.m. at various locations. Meetings usually include networking and a continental breakfast, followed by introductions from everyone, business presentations by the host, and time to exchange business leads and information at the end of each meeting. The doors open and refreshments are available at 7:30 a.m. to provide you with an opportunity to network with members and guests. At 8:00 a.m. our Ambassador MC begins the program. We start with a short presentation by the host about their business. Then everyone is invited to do an introduction, state their business name, and give a tagline about their business. The tagline is a great opportunity to tell everybody what you do and help them remember you. We then wrap up the program with quick announcements or testimonials – these should be no longer than 30 seconds and can include thank you’s as well as special promotions. We have limited time for announcements and testimonials at each meeting, so although everyone will not always receive a turn, we do our best to get in as many as possible. 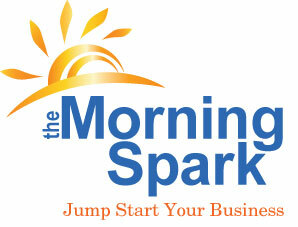 The Morning Spark is a networking program of the Wilsonville Area Chamber of Commerce. We are fortunate to continue offering these events free of charge to our wonderful members. Although non-members are welcome to attend in order to ‘get a feel’ for our programs, non-members are limited to two Morning Spark events before joining the Chamber. Each Morning Spark Networking Event is held at a different location. Event locations are subject to unexpected changes and those wishing to attend are encouraged to verify the location and address through our online event calendar the day before. Chamber Members may attend Morning Spark events as frequently as you want! Experienced Members report receiving the most significant with regular attendance and we witness these benefits every day. We encourage Members to stay in touch and as involved as possible; however, we know regular attendance is not possible for everyone. We are thrilled anytime we have a chance to visit with our Members, whether it is at every event or on the occasion it fits into your schedule. Only Members of the Chamber of Commerce may be hosts and co-hosts for the Morning Spark Networking Events. There is no fee to host; however, the host is responsible for all food and beverages, as well as décor and door prizes. If you are interested in this excellent opportunity to strengthen your relationship with our business community, contact Chamber Staff. 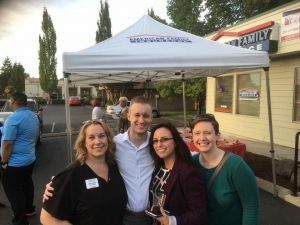 After Hours is a fun and social networking group open to all Members of the Wilsonville Area Chamber of Commerce. The event takes place on the 2nd and 4th Thursdays of each month from 5:00 – 7:00 p.m. at various locations. Events include always include hors d’oeuvres and beverages (often beer or wine) and lots of time for networking. The After Hours begins at 5:00 p.m. and ends at 7:00 p.m. but people are welcome to arrive when they can and leave when needed! Doors open at 5:00 p.m. with food and refreshments available for all attending for an opportunity to wind down from the workday while networking with members and guests. At 6:00 p.m. our Ambassador MC begins the program. After a presentation by the host, everyone is invited to introduce themselves, business and business tagline. Sharing your tagline is a great opportunity to tell everyone what you do and help them remember you. Introductions are followed by brief announcements or testimonials. Announcements or testimonials should be no longer than 30 seconds and can include thanking you’s and special promotions. We have limited time for announcements and testimonials at each meeting, so although everyone will not always receive a turn, we do our best to get in as many as possible. After announcements and testimonials, attendees are encouraged to hang around for networking as long as they please. 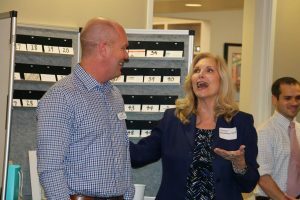 After Hours is a networking program of the Wilsonville Area Chamber of Commerce. We are fortunate to continue offering these events free of charge to our wonderful members. Although non-members are welcome to attend in order to ‘get a feel’ for our programs, non-members are limited to two After Hours events before joining the Chamber. Each event is held at a different location. Event locations are subject to unexpected changes and those wishing to attend are encouraged to verify the location and address through our online event calendar the day before. Chamber Members may attend events as frequently as you want! Experienced Members report receiving the greatest benefit with regular attendance and we witness these benefits every day. We encourage Members to stay in touch and as involved as possible; however, we know regular attendance is not possible for everyone. We are thrilled anytime we have a chance to visit with our Members, whether it is at every event or on the occasion it fits into your schedule.